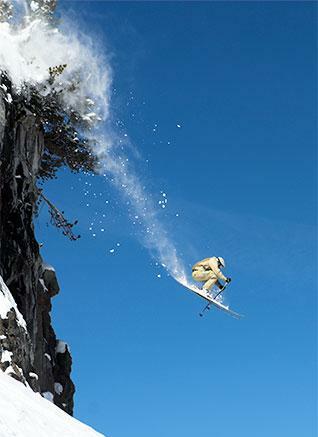 We’re your source for great ski & snowboard rentals in North Lake Tahoe & Truckee. As the locals choice for ski & snowboard gear in Lake Tahoe for over 40 years, we’re committed to helping you have a great winter sports season. Take your pick of the largest selection of rental & demo equipment on the North Shore & Truckee, including snowshoes, cross-country gear and rental clothing for the whole family. Plus, check out the full retail stores located in Tahoe City to get the gear you need to stay warm and dry whether you are on or off the mountain. At Tahoe Dave’s Skis & Boards, we make it easy. Save time and money by renting before the resorts. You can even pick up your rentals the evening before and return the rentals at any of our four North Lake Tahoe rental shops with no extra charge. It’s all included! Ready to rent? Book Online! Stop by one of Tahoe Dave’s four convenient locations for the best ski & snowboard rental value in Lake Tahoe. Bring in your skis or snowboard for a professional tune and pick them up the next morning! We have four convenient locations to ensure your rental experience is as painless as possible! Avoid the crowds – book your gear with us online and get up to 10% off your rentals!